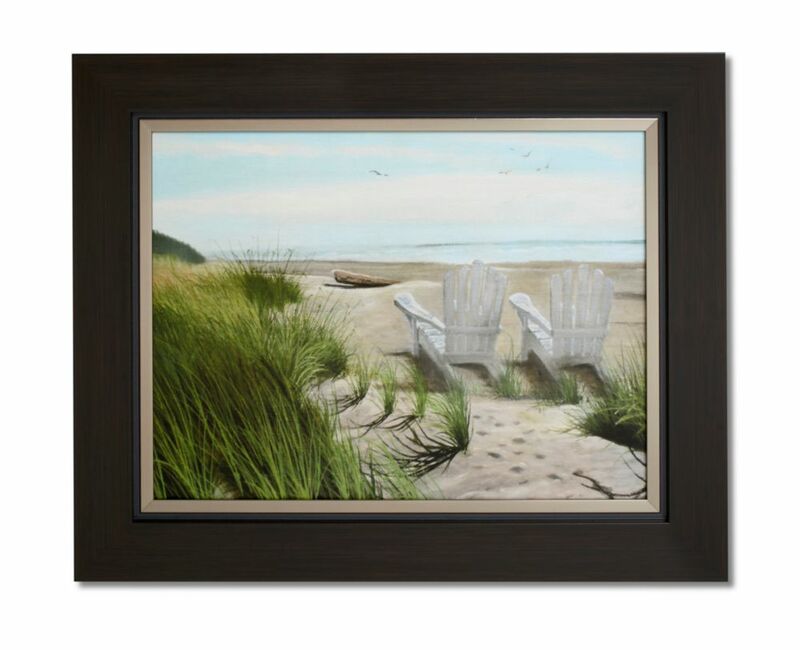 Coastal inspired art piece has been hand applied with a gel coat finish to give it a texturized canvas look. Colours and design of imagery based around today's popular home dicor colour pallets to create a focal point in your space. Perfect Spot on The Beach Coastal inspired art piece has been hand applied with a gel coat finish to give it a texturized canvas look. Colours and design of imagery based around today's popular home dicor colour pallets to create a focal point in your space. Perfect Spot on The Beach is rated 5.0 out of 5 by 1. Rated 5 out of 5 by mb51 from Picture Perfect! "Perfect Spot on The Beach" found the perfect spot on my rec room wall! Excellent quality painting and frame. Puts the finishing touch on my beach themed rec room this summer.